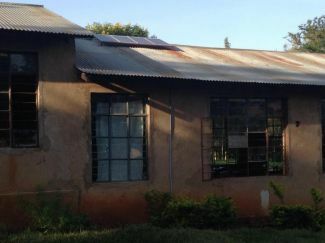 4 solar panels are now on the roof of the classroom. When the sun sets, it is too dark for the students to work in the classrooms. 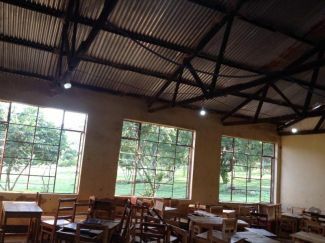 We have recently provided the funds to enable one of the classrooms at Ruhinda State Secondary School to have lighting. 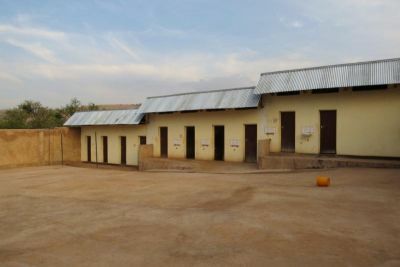 This means that lessons can now continue later, and the students have somewhere safe to study. The lights are strung up on the rafters. The students in the newly lit classroom. The launch of an initiative to provide a gruel lunch for the neediest 100 children at Nyaishozi Primary School was such a success, that it was decided to utilize a large area of fertile land belonging to Nyaishozi Primary School. 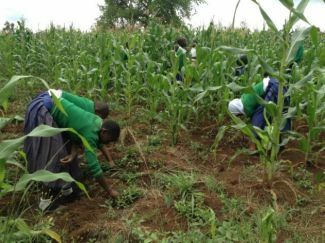 We supplied the school with maize seeds, the children prepared the soil and hopefully, will be rewarded with enough of the crop to sustain the entire school. A couple of months later and the maize is thriving! 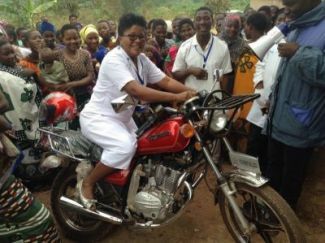 The arrival of the new motorbike at Kibogoizi caused great excitement - the whole village turned out! 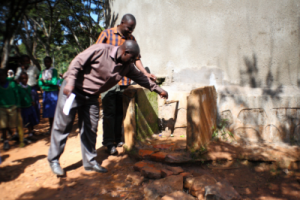 Kibogoizi village dispensary services 17,000 people scattered over a wide area and had no form of transport. 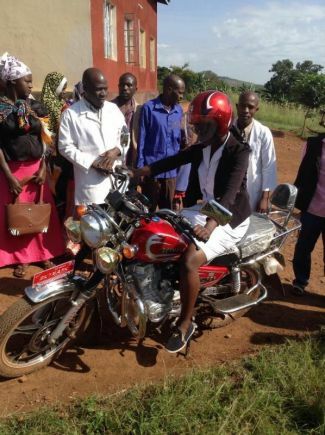 With the help of the parishioners of St Michael's, the money was raised to fund the purchase of a Chinese made motorbike. Two kind supporters have since come forward to sponsor a further two bikes. Thanks to the kind donations of an Ashtead resident, we have been able to provide a second motorbike, for use in the dispensary at Kahanga. 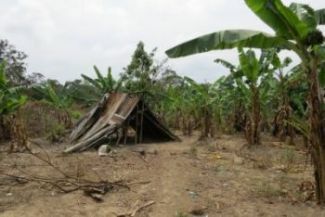 As the Nyaishozi community is spread over a vast area, many inhabitants live in remote areas. The journey to school is over difficult terrain and may take several hours. Girls are particularly at risk walking back and fore to school. 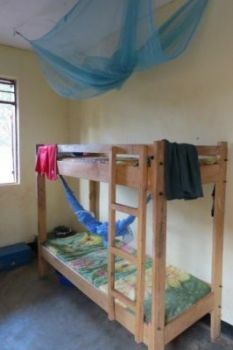 Staying locally in lodgings is also a concern, with stories of sexual abuse and general mistreatment. 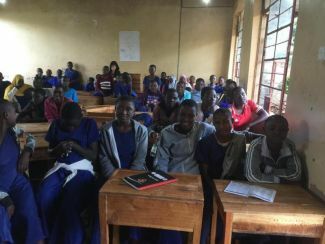 As a result, Action in Africa funded the construction of a dormitory and shower block at Ruhinda Secondary School to house 48 of its female students. 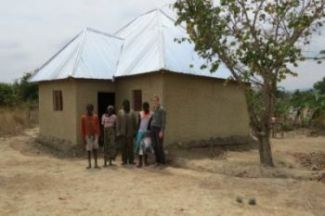 The Erach Roshan Sadri Foundation and Hilden Charitable Trust helped to fund the build whilst the local community provided the bricks and the labour. 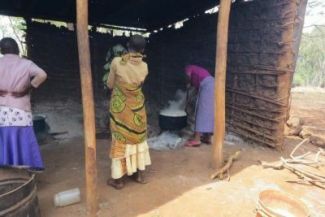 Bi Bibiana’s old house biana Patilisi joined the Action in Africa family in 2015. 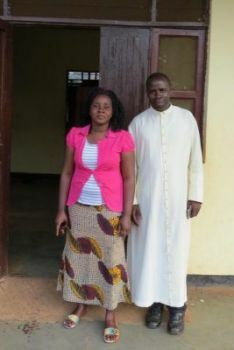 Since then her family has been on Father Vitalis' radar as they lived in desperate circumstances. Two of Bibiana's siblings had died as a result of malaria, her brother has mental health issues and her mother is disabled. When the charity became aware of the family's dreadful living conditions, we helped to fund the construction of a new home for them.' 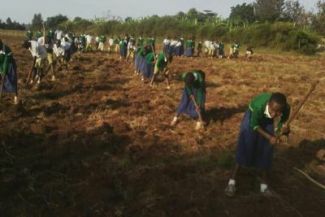 The local community supplied the labour for the house build. 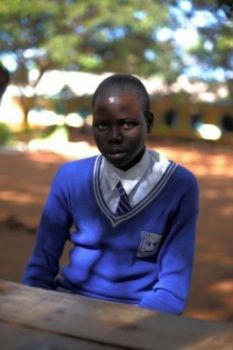 Bibiana studies at Nyaishozi Secondary Boarding School. The Tanzanian government had a drive to ensure that all children of school age receive a free education. One of the negative effects of this very positive news is that there has been a huge increase in student attendance. Consequently, accommodating every pupil has proved a challenge. 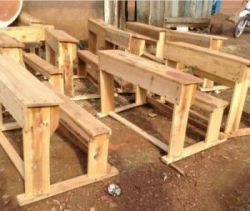 Father Vitalis approached Action in Africa with a request for us to participate in the "sponsor a desk" programme. We were happy to help and provided 50% of the funds requested, with the families of our sponsored children providing the rest of the monies. 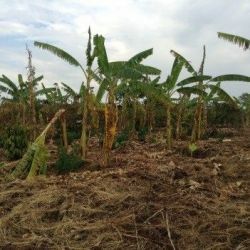 Through the generosity of our supporters, Action in Africa was able to fund the buying of young, disease resistant banana plants to replace those devastated by drought. 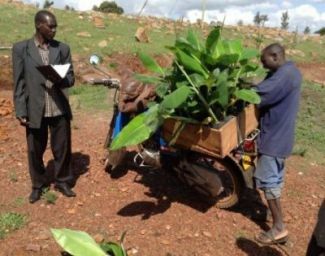 These were distributed to affected farmers by Action in Africa Nyaishozi committee member Paul Mubiligi, pictured below. 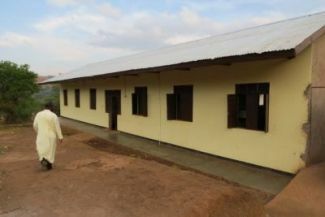 The UN village outside Nyaishozi was built to house displaced refugees from Rwanda and Burundi. 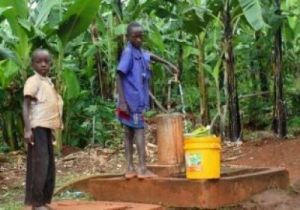 Pictured left are children using one of the four water taps, now working properly, having been repaired by Action in Africa.